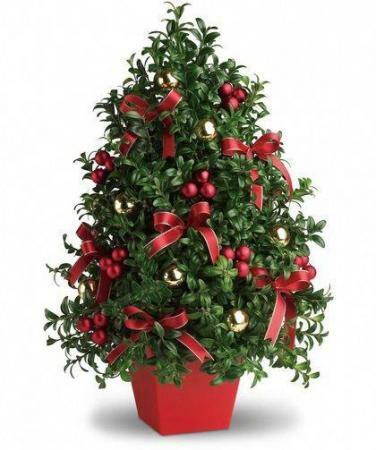 Boxwood Tree Holiday Centerpiece in Southern Pines, NC - Hollyfield Design Inc. 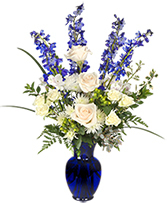 Celebrate the miracle of Hanukkah and the Festival of Lights with a beautiful blue and white bouquet from Hollyfield Design Inc.. 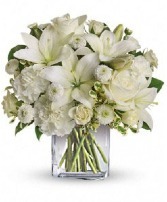 Call our shop or order Southern Pines, NC Hanukkah flowers now from our website. 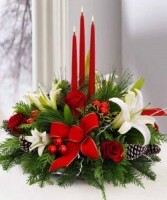 Send Holiday Wishes to friends and family with this elegant table centerpiece.